We offer vaccum forming blister for packing cosmetics. These packs minimize the risk of any harm or breakage to the cosmetics. 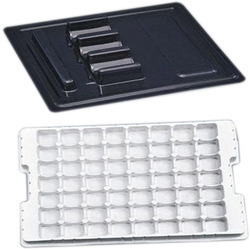 These trays can also be used for the purpose of display. The design and sizes of the packs can be adjusted according to the client specification. The materials used by us are PVC, HIPS, PP and PET. 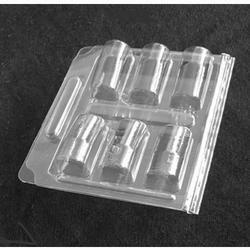 Our clients can avail from us excellent quality Toys PVC Blister Trays, which are blister packed . Blister packaging secures the product with a protective shield of ridged film providing conformity and durability. These trays provide pleasing tamper-resistant means of displaying retail products. Besides, these trays are properly sealed, water proof and free from moisture and dust content. Manufactured employing thick sheet thermoforming technology, our PVC Blisters are known for their compliance with international standards. Owing to their quality, these are widely demanded in markets across the globe and are used for packaging purposes. Our PVC blisters are lightweight and non-toxic, and find widespread application in the pharmaceutical & allied sectors.